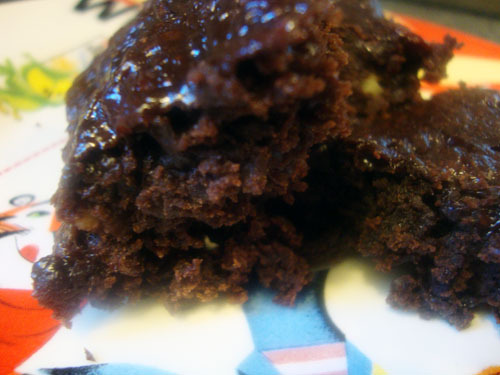 I have long been searching for the PERFECT vegan brownie. I have not had much luck, mostly because I'm not into cakey brownies. I like mine fudgey and squishy in the middle, barely able to be picked up by hand because they are so gooey. It's gotta have the underbaked feeling. I kept tweaking recipes, (drastically tweaking recipes i might add...) and eventually i came up with these beauties! SO GOOD. Next time, I'll have to make them gluten free. But for you normal vegans... try these. They are AMAZING! 1. Preheat oven to 350 degrees and spray an 8x8 pan with baking spray. 2. Combine starch mixtures and sugar and mix until combined. 3. Add cocoa powder mixture, vanilla, and salt and mix until combined. 4. Add agave and almond milk. Combine. 5. Add flour and mix until JUST combined. 6. Mix in chocolate chips/pecans, if adding, by hand. 7. Pour batter into pan and bake for approximately 30 minutes. Allow to cool. 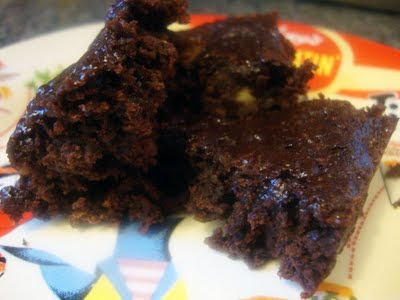 Brownies will still be soft and gooey and slightly difficult to remove from the pan; you'll need a spatula to really get underneath these brownies and lift them out. Brownies taste good with the right ingredients.